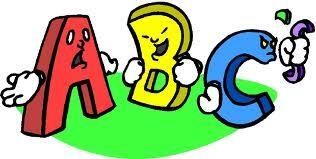 There’s been a lot written about the new phonics test that is being introduced in UK schools in June. Michael Rosen cogently put the arguments against it on his blog this morning. A major concern is that the test involves asking children to read a list of items, and takes no account of whether they understand them. Indeed, the list includes nonwords (i.e. pronounceable letter strings, such as "doop" or "barg") as well as meaningful words. So children will be “barking at print” - a very different skill from reading for meaning. I can absolutely see where Rosen is coming from, but he’s missing a key point. You can’t read for meaning if you can’t decode the words. It’s possible to learn some words by rote, even if you don’t know how letters and sounds go together, but in order to have a strategy for decoding novel words, you need the phonics skills. Sure, English is an irritatingly irregular language, so phonics doesn’t always give you the right answer, but without phonics, you have no strategy for approaching an unfamiliar word. Back in 1990, Hoover and Gough wrote an influential paper in 1990 called “The Simple View of Reading”. This is clearly explained in this series of slides by Morag Stuart from the Institute of Education. It boils down to saying that in order to be an effective reader you need two things: the ability to decode words, and the ability to understand the language in a text. Some children can say the words but don’t understand what they’ve read. These are the ones Michael Rosen is worried about. They won’t be detected by a nonword reading test. They are all-too-often missed by teachers who don’t realise they are having problems because when asked to read aloud, they do fine. There’s a fair bit of research on these so-called “poor comprehenders”, and how best to help them (some of which is reviewed here). But there are other children with the opposite pattern: good language understanding but difficulties in decoding: this corresponds to classic dyslexia. There are decades of research showing that one of the most effective ways of identifying these children is to assess their ability to read novel letter sequences that they haven’t encountered before - nonwords. Nonword reading ability has also been shown to predict which children are at risk for later reading failure. It's useful precisely because it tests children's ability to attack unfamiliar material, rather than testing what they have already learned. It's a bit like a doctor giving someone a stress test on a treadmill. They may never encounter a treadmill in everyday life, but by observing how they cope with it, the doctor can tell whether they are at risk of cardiovascular problems. Some children don’t need explicit teaching of phonics - they pick it up spontaneously through exposure to print. But others just don’t get it unless it is made explicit. I’m coming at this as someone who sees children who just don’t get past first base in learning to read, and who fall increasingly far behind if their difficulties aren’t identified. A nonword reading test around age 6 to 7 years will help identify those children who could benefit from extra support in the classroom. So that’s the rationale, and it is well-grounded in a great deal of reading research. But is there a downside? Potentially, there are numerous risks. It would be catastrophic if teachers got the message from this exercise that reading instruction should involve training children to read lists of words, or worse still, nonwords. Unfortunately, testing in schools is increasingly conflated with evaluation of the school, and so teaching-to-the-test is routinely done. The language comprehension side of reading is hugely important, and shouldn't be neglected. Developing children’s oral language skills is an important component of making children literate. It is also important for children to be read to, and to learn that books are a source of pleasure. Another concern is children being identified at an early age as failing. The cutoff that is used is crucial, and there are concerns that the bar may be set too high. Children at real risk are those who bomb on nonword reading, not those who are just a bit below average. The impact on children’s self-perception is also key. There is already evidence that some primary school children are unduly stressed by SATS. There’s nothing more likely to put a child off reading than being given a test that they don’t understand and being told they’ve failed it. When I was at school, we had the 11+ examination that divided children into those who went to grammar school and those who didn’t. I had friends whose parents promised them a bicycle if they passed - even though there was precious little practice that you could do for the 11+, which was designed to test skills that had not been explicitly taught. Schoolfriends who failed were left with a chip on their shoulder for years. I’d hope that this reading screen is introduced in a more sensitive manner, but the onus is on parents, teachers and the media to ensure this happens. This screening test should serve as a simple diagnostic that will allow teachers to identify those children whose weak letter-sound-knowledge means that they could benefit from extra support. It should not be used to evaluate schools, make children feel they are failures, worry their parents, or support a sterile phonics-only approach to reading. Rack, J. P., Snowling, M. J., & Olson, R. K. (1992). The nonword reading deficit in developmental dyslexia. Reading Research Quarterly, 27, 29-53. Excellent post and I wholeheartedly agree. At my setting, we use nonsense words as part of the intervention only rarely. That's because, I figure, if you can find a way to teach the same thing using real words, why not? May as well spend time practicing different patterns and skills using words the students will actually see in their books. So wouldn't this be a cool idea? Screen using nonsense words, teach using real words, then assess using nonsense words? We would completely avoid "teaching to the test" that way. That would not be the only way we would monitor progress, of course, but this really has my wheels turning. Speaking as the parent of a 9 year old dyslexic who was only diagnosed in the last year I think this test is very important to identify problems at an age early enough to do something about more easily. My daughter would have passed a reading test of age appropriate words as she knows lots of words and was able to read competently for her age because she had memorized the words, the non words would most definitely have set alarm bells ringing. In fact I showed her the example test the other day and whilst she flew through the real words she had to work through the non-words and decode them. On the other hand my younger non-dyslexic (as far as we can tell) who at age 6 will be having this assessment later on in the year has a different approach and can break down and decode the words as expected. I think there are lots of ways that schools can approach this assessment without the kids even being aware of the fact so although I'm primarily against testing for young children I think this is a step in the right direction and the right kind of testing/assessment although I feel its very important that any results are considered in conjunction with the teacher assessments. This phonics screening initiative is a waste of money and time by a government that has no idea what it is doing with education. Teachers are doing great jobs at identifying struggling readers and giving as much as they can to bring them up to speed. A test which can only be passed by getting 32 out of 40 will achieve exactly what? It will identify those children that can decode words. End of. That is not reading, it's saying aloud some words on a page. Teachers already have phonics testing in place and it works very well. What this test will do is give the government another league table to bash schools with. It's got nothing to do with reading at all. I see this testing not as a way to find out which schools are "failing children", but as a way to identify children who are having difficulty - including those with dyslexia. When I go in for an eye test, and fail to read the line of small print, this achieves exactly what? It doesn't mean that I am failing at seeing, or that I am not looking hard enough; it identifies that I need glasses. I can't help feeling that too much is being made of children feeling like failures if they don't reach the required standard in the decoding check. Why would they even need to know that they have 'failed'? I really think it would take great insensitivity (I would go as far as to say 'stupidity')on the part of a teacher or parent to tell a child they had 'failed' the check. In fact, I think that a teacher who could do that should not be teaching at all! Nor do I think that children will be stressed by the check unless their teacher makes a big issue of it. I don't recall any children being reported as being stressed in the evaluation of last year's pilot. On the point of 'failure', children become well aware of where they stand in the academic pecking order without anyone telling them. I have often had Y7s tell me that they were on the 'thick' table at primary. Despite what a previous comment claims there has never been any official testing of these very basic and necessary reading skills before and in the past children have fallen further and further behind without really being noticed, particularly in schools where 'other strategies' (guessing words from pictures and context) are encouraged. At least they now have a chance of being identified early in their school career and intervention put in place before they really struggle and lose confidence and self esteem. This sounds like a very sensible way forward, perhaps signalling a return to proper education as opposed to the "osmosis" approach of the "real books" reading theory of the 1980s and 90s. The idea that a child could teach themselves to read by being in the presence of books must be one of the loonier concepts ever to have invaded education. As a teacher in an adult education and training establishment I can tell you the results - but you probably know them anyway. Being able to read properly is key to the entire education process. If this "test" helps identify the children with problems early, then it must be a good thing. Particularly if, once identified, they are given the right support and remedial teaching. I have a friend who is dyslexic, he is currently vicar of a very large parish church, has a doctorate from Cambridge and will possibly be a bishop in due course. He would have achieved none of this without having been identified early and given the help and support he needed. I think to many people associate "test" with "failure" and fall into the trap of not seeing the benefit of using the "failure" as a chance to find solutions. There is also the belief in education circles that any form of selection based on ability is "unfair" or "disadvantages" those less able. Frankly, I think that is rubbish, the very able children become disillusioned and bored because they can't move forward at their speed, and the not so able become disillusioned and disruptive because they can't keep pace with the rest. The one size and speed fits all is a comprehensive failure to recognise natural differences in ability, motivation and the causes underlying some problems. My children's education suffered (They all have high IQs and are fast learners) by being sat in classes in the Comprehensives with children who simply couldn't keep up with the lessons, couldn't be given the remedial work and became more and more disruptive. Sadly, I couldn't afford to send them to a Public School which would have addressed some of the problem. I'm delighted to see that someone is now addressing this key problem, sadly far to late for many very bright young men and women I have met who suffer from an inability to read or write effectively as a result of a lack of remedial teaching when they were starting out in education. I have to admit that I do not fully understand the complaint about nonword reading. What's the difference between asking a 6-year-old to read "barg", which currently has no meaning assigned to it, rather than, say, "venison" or "phylogenetic"? These are words the 6-year-old is very unlikely to have ever heard, and are therefore meaningless to them - as is "barg". Of course children encounter new words all the time, and even learn new meanings from print (which is how I learned "venison" if I remember right). I just don't see why it should matter whether the words are truly meaningless, or just don't hold meaning for the child when s/he is tested. I've just come across this critique of the phonics screen by Greg Brooks. His criticism is mainly of the logistics of the exercise, echoing some of the 'downside' points I made above. Contrary to what the Daily Mail would have us believe, use of nonwords per se is not the issue. Rather it's the high stakes way the screen is being introduced. His suggested alternative approach seems eminently sensible. Well, I'm sorry, Dorothy, but Greg Brooks has always been lukewarm about phonics teaching and the fact that he has produced this paper for the UKLA, which is determinedly anti systematic structured phonics instruction for the initial teaching of reading, speaks volumes. Not a bad thing if it means that more children are rigorously taught the letter/sound correspondences and to use their knowledge in decoding and blending. Good teachers should be able to produced well rounded and balanced literacy lessons. A teacher of any intelligence ought to be capable of realising that normal good phonics teaching should adequately prepare their pupils for a simple decoding check. I wasn't aware that schools' results were to be made public. I understood that they have to be reported to parents, but they are not being published. And, quite frankly, most schools have very little excuse for failing to teach children a core reading skill. Inner city schools with highly mobile populations (and so reasonably good reasons for fewer children reaching the expected standard) do not comprise the majority of schools. If I were a parent of a Y1 child I'd be pretty anxious to know that my child was being effectively taught to read. Why? There is absolutely no reason why children should be caused any stress by this check. Any teacher who put pressure on the children to 'pass' and who made out that the check was anything but a normal assessment would be acting highly irresponsibly. AS for the concern about the ongoing costs of the check, well, illiteracy costs us a great deal in this country, as the Reading Recovery people demonstrated a few years ago. I'd rather than our money went on ensuring that children leave school literate than on picking up the pieces in later years. His alternative suggestion would be fine if teachers actually knew how to teach reading, but the fact that some 20% of children leave primary school barely literate, or completely illiterate, suggests that perhaps the 'professionalism' of teachers isn't the best thing to trust in this instance. When 73% of teachers in the Pilot schools (which, as there were 300 schools involved in the pilot, might reasonably be considered as a fairly representative percentage of Early Years teachers) said that they still taught 'other strategies' for word identification alongside phonics, precisely the methods used in the old NLS, (which was superseded 5 years ago)methods which consistently failed 20% of children, we can hardly be confident that they understand how to teach phonics properly, let alone how to assess their pupils core reading skill. Thanks for this perspective, Maggie. I do think two issues are conflated in this debate, and it would be good to separate them. First, does it make sense to assess children's knowledge of phonics? - here I am unambiguous that the research evidence supports this. The media have completely misunderstood this and are conveying the idea it is 'barmy' to test nonword reading; that needs counteracting. Second, is the implementation of a national screening test the right approach? I think there's grounds to be much more dubious. Obviously, people who don't like phonics anyhow will criticise the implementation of the screen, but I think there's more to it than that. I've recently been reading the Patient Paradox by GP Margaret McCartney and there are remarkable parallels with the arguments put forward by Greg Brooks and her views on how medicine is now practised in the UK. She is highly critical of the way in which GPs have been pushed towards screening and checkbox evaluations of patients, and thinks the money spent on these exercises would be better spent on front line care. I may blog further about this if I get time, but I do think it's bigger than phonics/nonphonics - it's more about a cultural shift that's occurred in our society whereby professionals work by 'standard operating procedures', and there are both pros and cons to that. I absolutely agree about the culture shift - it is alarming. But as far as education is concerned, the manner in which around 20% of children have been left with little stake in society - ie unable or barely able to read - and the lack of any will on the part of educationalists and unions to address the problem, led to a checkbox culture and over examination. I'm not sure how the circle can be squared. If this little Check goes some way towards helping struggling readers and leads to a drastic curtailment of SATs then the good could vastly outway any disadvantages. ERP Software Considerations Support for Government Functionality JDEdwards Lawson Oracle PeopleSoft SAP Platform and Database. I'm going to post this blog on my websites because I think it is very important - great replies too. I am the author of two phonics programmes and there are no non-words in the teaching and learning content of either of the programmes. Sadly, I see a great proliferation of 'non-words' in published programmes and games for phonics provision. Many of these include 'illegal spellings' - strings of letters which we would not see in English language. I think this is unfortunate. The teaching profession, as a whole, does not appear to be aware of the notion of illegal spellings. And yet learning to spell is a very challenging and fragile state of affairs. There is research to show that even profient adults will score lower on a repeat spelling test when they have seen mis-spellings for the same words inbetween the tests. Nowadays in England, synthetic phonics teaching includes teaching the reading skill, and the reverse spelling skill although within the same lessons. This means the whole debate needs to discuss the role of non-words and mis-spellings not only for reading but also for spelling. I support the advent of the Year One phonics screening check put forward by the government - even the government itself has to be accountable for methods and materials that it promotes. The illiteracy issue is of paramount concern in English-speaking countries. We really need to know how children are faring and how the teaching of children is faring. I also think the government has a responsibility, however, to look at the knock-on effect of non-word publicity and promotion. Debbie, after attending one of your training sessions recently, I really have to tell you that it was a load of rubbish, what you are preaching is what we have been practicing in our classrooms in Wales for years, all you have done is to try and make it sound as if you have discovered something new. You are making yourself look a complete idiot, you are being laughed at, what a complete waste of money we have spent on your 'new' way of learning, what will you think of next to make money?! Anonymous, I totally agree with you, the best part of the day was the free biscuits, I came from there learning nothing new apart from the fact that Debbie has foul language, a group were talking amongst themselves and Debbie told them to " shut the f**k up" this woman should never be paid for making us sit through this rubbish, she spoke down to us and some of us have been teaching for over 30 years, how dare she! I dont blame the ones who walked out, this 'training' has to be scrapped, it don't teach us anything at all, we have been using these methods for many years, we don't need Debbie to drone on, talk down to us and shout at us while using bad language, we know how to teach!!! Get rid of the woman! Well, it certainly did not help with your grammar! - 'it don't teach us anything at all'? I am assuming that if you have been teaching this for 30 years you have excellent results. Well done. However, this is not the case in many schools here in Wales - hence the concern. Schools where phonics is taught well,combined with other necessary skills, have higher literacy levels than schools where it is not, despite other variables such as ESL, socio- economic group. Does teaching for 30 years mean you have no need to reflect? Nice blog..Skills are very much in demand to make the education worth for all possible manner. in that case this is the ideal situation to make the moments functional as well as professional to all.